The list of possible indoor air pollutants may seem endless, but the cures are not. Comfort Services, Inc. recommends a four-prong approach to ensuring healthy air in your home: dry up excess moisture, ventilate, clean the air, and get super sanitary. Comfort Services, Inc. can help evaluate your home's air quality from the attic to the foundation. We can identify the source and prescribe the best solutions! We proudly offer our services in Pinehurst, Southern Pines, Aberdeen, and all surrounding cities and towns including Garner, Apex, Fayetteville, Chapel Hill, Fuquay Varina, Fort Bragg, Durham, and more. Also check out our home energy audit to diagnose your home's energy problems. 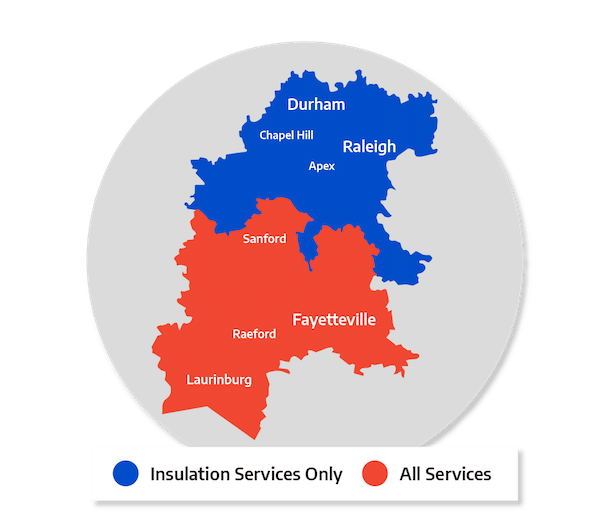 We are your trusted resource in Southern Pines, Aberdeen, Pinehurst, Apex, Garner, Chapel Hill, Fayetteville, Durham, Fuquay Varina, Fort Bragg, and all surrounding areas!